This advisory was prepared in collaboration with the National Cybersecurity and Communications Integration Center (NCCIC), United States Secret Service (USSS), Financial Sector Information Sharing and Analysis Center (FS-ISAC), and Trustwave Spiderlabs, a trusted partner under contract with the USSS.Â The purpose of this release is to provide relevant and actionable technical indicators for network defense against the PoS malware dubbed “Backoff” which has been discovered exploiting businesses’ administrator accounts remotely and exfiltrating consumer payment data. Over the past year, the Secret Service has responded to network intrusions at numerous businesses throughout the United States that have been impacted by the âBackoffâ malware. Seven PoS system providers/vendors have confirmed that they have had multiple clients affected. Reporting continues on additional compromised locations, involving private sector entities of all sizes, and the Secret Service currently estimates that over 1,000 U.S. businesses are affected. Recent investigations revealed that malicious actors are using publicly available tools to locate businesses that use remote desktop applications. Remote desktop solutions like Microsoft’s Remote Desktop , Apple Remote Desktop , Chrome Remote Desktop , Splashtop 2 , and LogMeIn  offer the convenience and efficiency of connecting to a computer from a remote location. Once these applications are located, the suspects attempted to brute force the login feature of the remote desktop solution. After gaining access to what was often administrator or privileged access accounts, the suspects were then able to deploy the point-of-sale (PoS) malware and subsequently exfiltrate consumer payment data via an encrypted POST request. âBackoffâ is a family of PoS malware and has been discovered recently. The malware family has been witnessed on at least three separate forensic investigations. Researchers have identified three primary variants to the âBackoffâ malware including 1.4, 1.55 (âbackoffâ, âgooâ, âMAYâ, ânetâ), and 1.56 (âLASTâ). The malicious stub that is injected into explorer.exe is responsible for persistence in the event the malicious executable crashes or is forcefully stopped. The malware is responsible for scraping memory from running processes on the victim machine and searching for track data. Keylogging functionality is also present in most recent variants of âBackoffâ. Additionally, the malware has a C2 component that is responsible for uploading discovered data, updating the malware, downloading/executing further malware, and uninstalling the malware. All C2 communication for âBackoffâ takes place via HTTP POST requests. A number of POST parameters are included when this malware makes a request to the C&C server. If this key doesnât exist, the string will be generated and stored. Data is encrypted using RC4 prior to being encoded with Base64. The password for RC4 is generated from the âidâ parameter, a static string of âjhgtsd7fjmytkrâ, and the âuiâ parameter. These values are concatenated together and then hashed using the MD5 algorithm to form the RC4 password. In the above example, the RC4 password would be â56E15A1B3CB7116CAB0268AC8A2CD943 (The MD5 hash of âvxeyHkSjhgtsd7fjmytkrJosh @ PC123456). The impact of a compromised PoS system can affect both the businesses and consumer by exposing customer data such as names, mailing addresses, credit/debit card numbers, phone numbers, and e-mail addresses to criminal elements. These breaches can impact a businessâ brand and reputation, while consumersâ information can be used to make fraudulent purchases or risk compromise of bank accounts. It is critical to safeguard your corporate networks and web servers to prevent any unnecessary exposure to compromise or to mitigate any damage that could be occurring now. At the time this advisory is released, the variants of the âBackoffâ malware family are largely undetected by anti-virus (AV) vendors. However, shortly following the publication of this technical analysis, AV companies will quickly begin detecting the existing variants. Itâs important to maintain upâtoâdate AV signatures and engines as new threats such as this are continually being added to your AV solution. Pending AV detection of the malware variants, network defenders can apply indicators of compromise (IOC) to a variety of prevention and detection strategies.,, IOCs can be found above. Smart cards are increasingly used in workstations as an authentication method. They are mainly used to provide public key operations (e.g., digital signatures) using keys that cannot be exported from the card. They also serve as a data storage, e.g., for the corresponding certificate to the key. In RHEL and Fedora systems low-level access to smart cards is provided using the pcsc-lite daemon, an implementation of the PC/SC protocol, defined by the PC/SC industry consortium. In brief the PC/SC protocol allows the system to execute certain pre-defined commands on the card and obtain the result. The implementation on the pcsc-lite daemon uses a privileged process that handles direct communication with the card (e.g., using the CCID USB protocol), while applications can communicate with the daemon using the SCard API. That API hides, the underneath communication between the application and the pcsc-lite daemon which is based on unix domain sockets. However, there is a catch. As you may have noticed there is no mention of access control in the communication between applications and the pcsc-lite daemon. That is because it is assumed that the access control included in smart cards, such as PINs, pinpads, and biometrics, would be sufficient to counter most threats. That isn’t always the case. As smart cards typically contain embedded software in the form of firmware there will be bugs that can be exploited by a malicious application, and these bugs even if known they are not easy nor practical to fix. Furthermore, there are often public files (e.g., without the protection of a PIN) present on a smart card that while they were intended to be used by the smart card user, it is not always desirable to be accessible by all system users. Even worse, there are certain smart cards that would allow any user of a system to erase all smart card data by re-initializing it. All of these led us to introduce additional access control to smart cards, in par with the access control used for external hard disks. The main idea is to be able to provide fine-grained access control on the system, and specify policies such as “the user on the console should be able to fully access the smart card, but not any other user”. For that we used polkit, a framework used by applications to grant access to privileged operations. The reason of this decision is mainly because polkit has already been successfully used to grant access to external hard disks, and unsurprisingly the access control requirements for smart cards share many similarities with removable devices such as hard disks. The pcsc-lite access control framework is now part of pcsc-lite 1.8.11 and will be enabled by default in Fedora 21. The advantages that it offers is that it can prevent unauthorized users from issuing commands to smart cards, and prevent unauthorized users from reading, writing or (in some cases) erasing any public data from a smart card. The access control is imposed during the session initialization, thus reducing to minimal any potential overhead. The default policy in Fedora 21 will treat any user on the console as authorized, as physical access to the console implies physical access to the card, but remote users, e.g., via ssh, or system daemons will be treated as unauthorized unless they have administrative rights. Let’s now see how the smart card access control can be administered. The system-wide policy for pcsc-lite daemon is available at /usr/share/polkit-1/actions/org.debian.pcsc-lite.policy. That file is a polkit XML file that contains the default rules needed to access the daemon. The default policy that will be shipped in Fedora 21 consists of the following. The syntax format is explained in more details in the polkit manual page. The pcsc-lite relevant parts are the action IDs. The action with ID “org.debian.pcsc-lite.access_pcsc” contains the policy in order to access the pcsc-lite daemon and issue commands to it, i.e., access the unix domain socket. The latter action with ID “org.debian.pcsc-lite.access_card” contains the policy to issue commands to smart cards available to the pcsc-lite daemon. That distinction allows for example programs to query the number of readers and cards present, but not issue any commands to them. Under both policies only active (console) processes are allowed to access the pcsc-lite daemon and smart cards, unless they are privileged processes. Here we add two rules. The first one allows the user “apache”, which is the user the web-server runs under, to access the pcsc-lite daemon. That rule explicitly allows access to the daemon because in our default policy only administrator and console user can access it. The latter rule, it allows the same user to access the smart card reader identified by “name_of_reader”. The name of the reader can be obtained using the commands pcsc_scan or opensc-tool -l.
With these changes to pcsc-lite we manage to provide reasonable default settings for the users of smart cards that apply to most, if not all, typical uses. These default settings increase the overall security of the system, by denying access to the smart card firmware, as well as to data and operations for non-authorized users. Revision Note: V1.1 (July 29, 2014): For MS14-037, added an Exploitability Assessment in the Exploitability Index for CVE-2014-4066. This is an informational change only. Summary: This bulletin summary lists security bulletins released for July 2014. Revision Note: V1.6 (July 29, 2014): Revised bulletin to announce that Microsoft no longer plans to enforce the stricter verification behavior as a default functionality on supported releases of Microsoft Windows. It remains available as an opt-in feature. Summary: This security update resolves a privately reported vulnerability in Microsoft Windows. The vulnerability could allow remote code execution if a user or application runs or installs a specially crafted, signed portable executable (PE) file on an affected system. Revision Note: V1.1 (July 29, 2014): Corrected the severity table and vulnerability information to add CVE-2014-4066 as a vulnerability addressed by this update. This is an informational change only. Customers who have already successfully installed the update do not have to take any action. Summary: This security update resolves one publicly disclosed vulnerability and twenty-four privately reported vulnerabilities in Internet Explorer. The most severe of these vulnerabilities could allow remote code execution if a user views a specially crafted webpage using Internet Explorer. An attacker who successfully exploited these vulnerabilities could gain the same user rights as the current user. Customers whose accounts are configured to have fewer user rights on the system could be less impacted than those who operate with administrative user rights. Panda Cloud Antivirus, the free cloud antivirus from Panda Security, offers the highest levels of protection according to the two leading industry product tests, those of AV-Comparatives and AV-TEST. 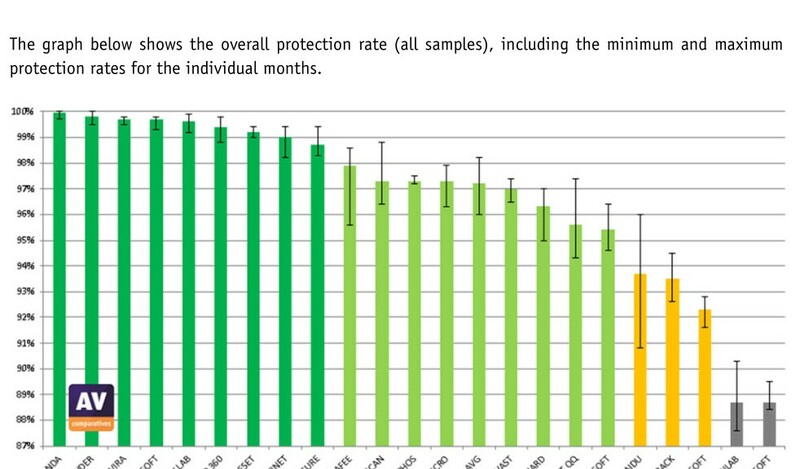 During the more than 150,000 âreal worldâ proactive detection tests carried out from March to June this year by the AV-Comparatives independent laboratory, Panda Securityâs free anti-malware solution managed to detect and block 99.9% of threats. 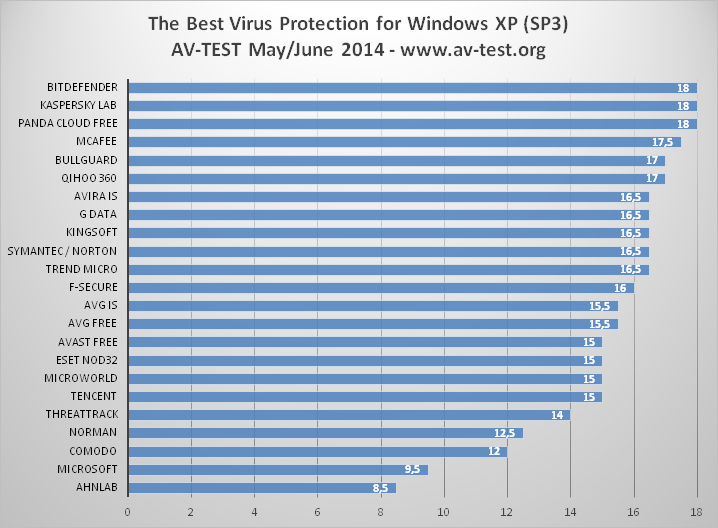 This comparative test of over 20 antivirus solutions highlights the great protection capacity of Panda Securityâs solution, beating out other free products such as Avast, AVG or Microsoftâs antivirus; or pay solutions including Kaspersky, McAfee and Sophos. For more details of the AV-Comparatives test, click here. 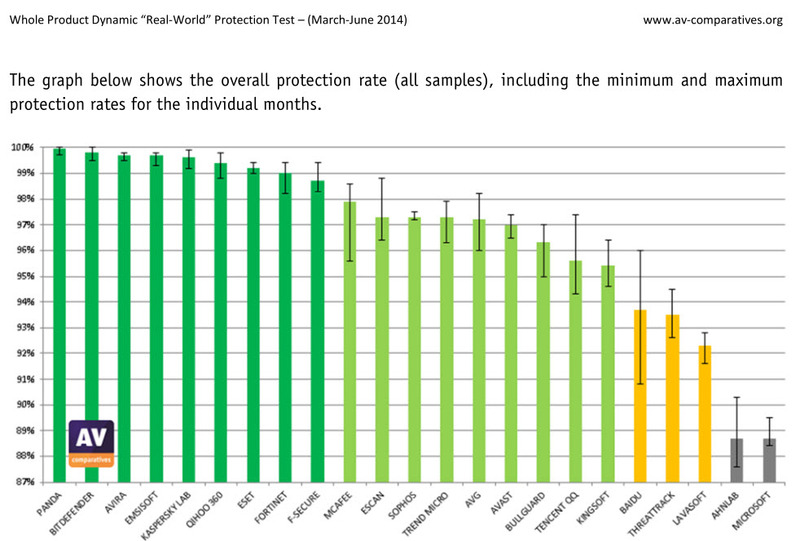 Similarly, in the âReal-World Protectionâ test carried out by AV-TEST in May and June, Panda Cloud Antivirus also racked up the maximum score, with a 100% detection ratio for the second consecutive month. Out of 23 products tested by the laboratory, only three achieved the maximum detection rate, and one of these was Panda Cloud Antivirus, the free solution from Panda Security. In addition to these excellent detection results, itâs important to note that Panda Security has scored maximum points in the AV-TEST âMonthly Consumer Product Testingâ performance test in June. The results from both these labs are based on tests carried out on products based on the new XMT (Extreme Malware Terminator) Smart Engineering engine from Panda Security. With XMT, different technologies interact with each other to achieve new levels of efficiency and greater detection and disinfection power to eradicate all threats. The new XMT engine will be included in the new 2015 consumer product line that Panda Security will be presenting in August. âThe best thing is that the platform and engine with which weâre achieving these results are the basis of all our endpoint protection products. Our aim is to continue integrating technologies in the platform to stay in pole position when it comes to detection and provide our users with maximum protection and minimum impact on their systemsâ, says Luis Corrons, Technical Director of PandaLabs at Panda Security. Panda Security presented Panda Cloud Antivirus version 3.0 last May, after a trial phase during which the product was downloaded more than 30,000 times across 130 countries. The new solution includes, in both the âFreeâ and âProâ editions a new more modern and intuitive âlook and feelâ. The solution also delivers improved protection technologies against new threats and attacks that exploit software vulnerabilities and automatically vaccinates USB drives, a feature which is now available to all users of the product, and not just the Pro version, as in the past. It also includes the highly useful Rescue Kit for dealing with emergencies caused by malware, as well as a more complete process monitor. VMware product updates address OpenSSL security vulnerabilities. a. OpenSSL update for multiple products. mitigated due to the application configuration. VPN (see Table 2 below). applying patches to products listed in Table 2 & 3 as required. Affected servers running a vulnerable version of OpenSSL 1.0.1.
or 1.0.1 and communicating over an untrusted network. over a trusted or isolated network. Copyright 2014 VMware Inc.  All rights reserved.